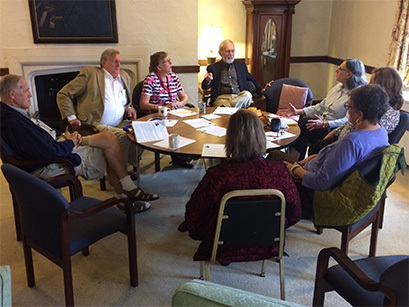 Jim Johnson hosts “Jack Horner’s Corner” each Sunday following worship to dig into the topic of the day. 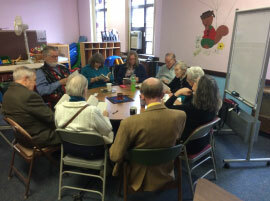 We gather at 11:30 am each Thursday to study the biblical texts for the coming Sunday– and share a sack lunch together. We meet the first Tuesday of each moth for friendship and fun. 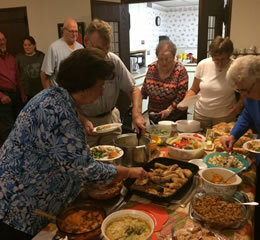 October begins with a pot luck meal. We usually enjoy programs from time to time. We also host the Annual Pork Roast Dinner and Mini Fair.